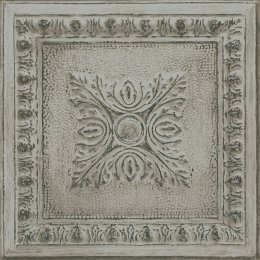 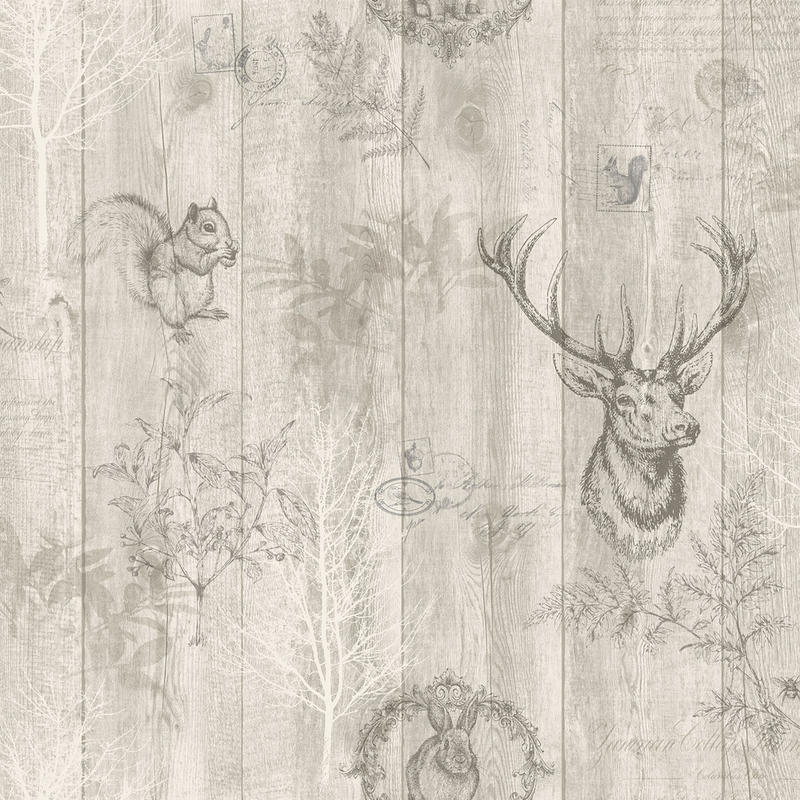 Stag Wood Panel from the Holden Decor Statement collection. 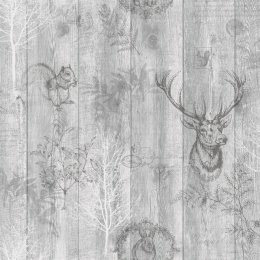 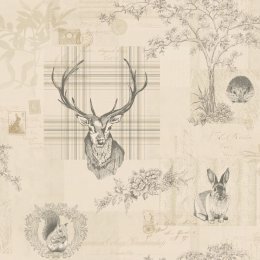 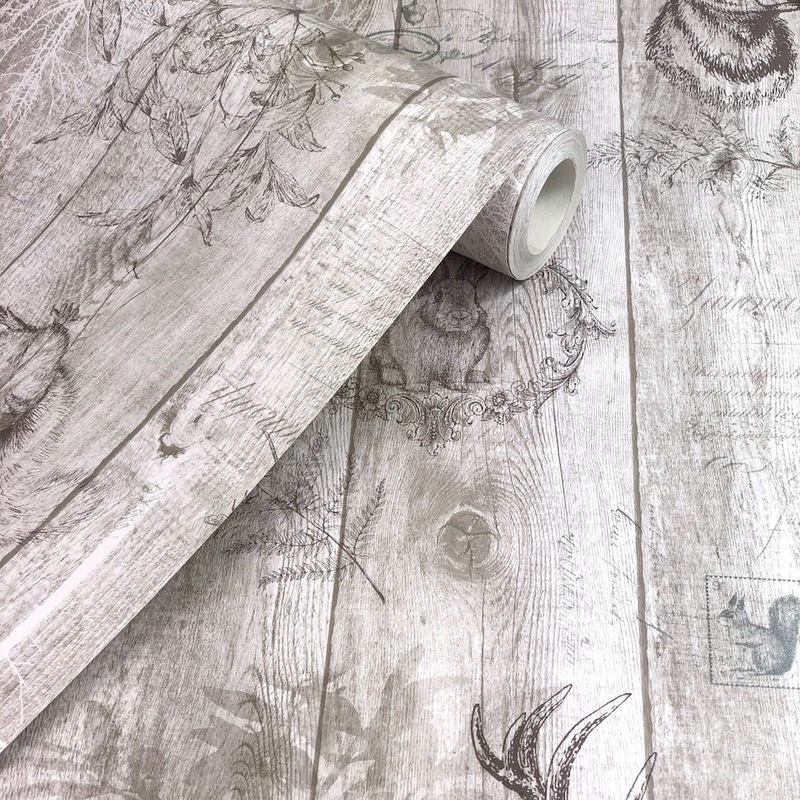 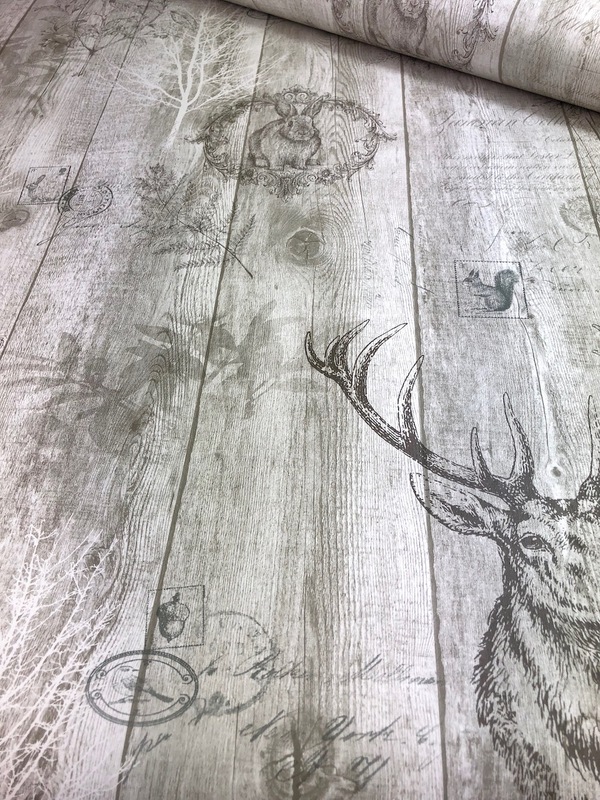 An imaginative woodland themed design featuring stags, squirrels and rabbits. 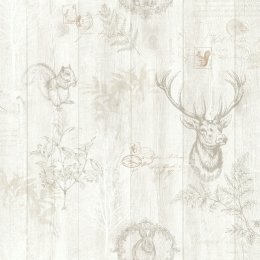 The woodland animals are complimented by forest trees and foliage, metallic silver stamps and a brown and beige wooden panel background.